Dell has appointed Corporate Rewards (CR) to deliver an experiential conference for 120 partners and customers in London in November. 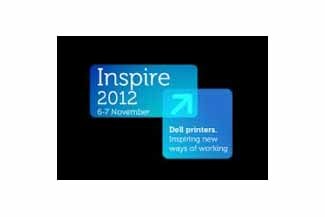 The Inspire 2012 conference will take place at London's Altitude 360 on 6 and 7 November, aiming to explore the changing role of printers and new business benefits. Dell Imaging marketing director Dave McNally said: "Corporate Rewards realised our goal was to provide a breakthrough event, designed to be informative, educational, entertaining and to inspire new ways of working." The conference will be designed as an experiential event rather than a traditional product launch, showcasing how Dell's new technology can fit into modern businesses. The agency was appointed having worked with Dell previously on sales incentives and hospitality events, including a client event at Ascot last year.